4 Bedroom Detached House For Sale in Milton Keynes for £460,000. Located in the popular area of Tattenhoe and within catchment of great schools both in Milton Keynes and grammar schools in Buckingham and Aylesbury is this well presented four bedroom family home. The house has been extended to create and abundance of space which is perfect for entertaining and the beautiful John Lewis kitchen with utility room finishes off the property to an excellent standard. When entering the property you are greeted to a bright entrance hall with doors leading to a downstairs cloakroom and doors leading to the lounge with bay window. Upstairs the property offers four bedrooms all with built in wardrobes and the master bedroom with en-suite. Outside the rear garden has a lovely decked area and laid to lawn. The front has off road parking for three vehicles and a garage. Within walking distance of Westcroft District Centre with its array of supermarkets and shops and with fantastic commuter links by road and rail, this family home needs to be viewed to appreciate the updates the current vendors have done. 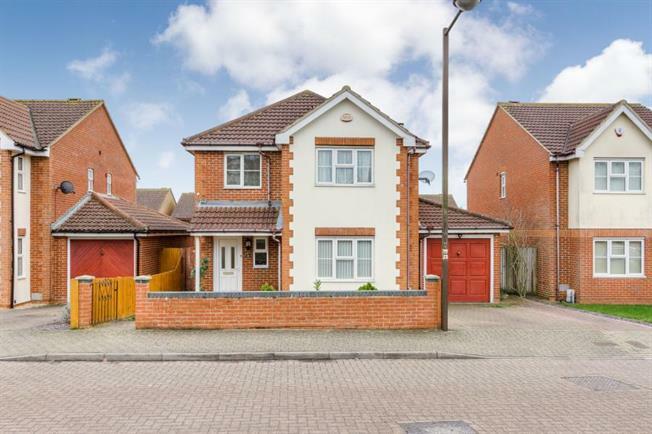 The property in brief comprises: Entrance Hall, Lounge, Cloakroom, Kitchen, Family Room, Dining Room, Utility Room, Master Bedroom With En-Suite, Three Further Bedroom, Front And Rear Garden, Garage.